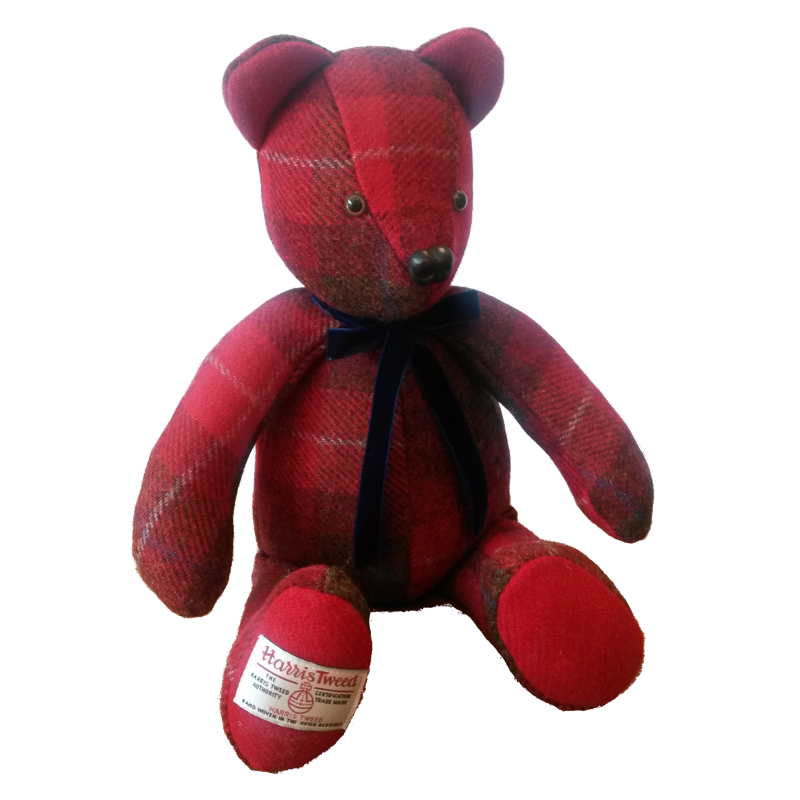 Our handmade bear is made locally from Harris Tweed, exclusively for Love from Skye. 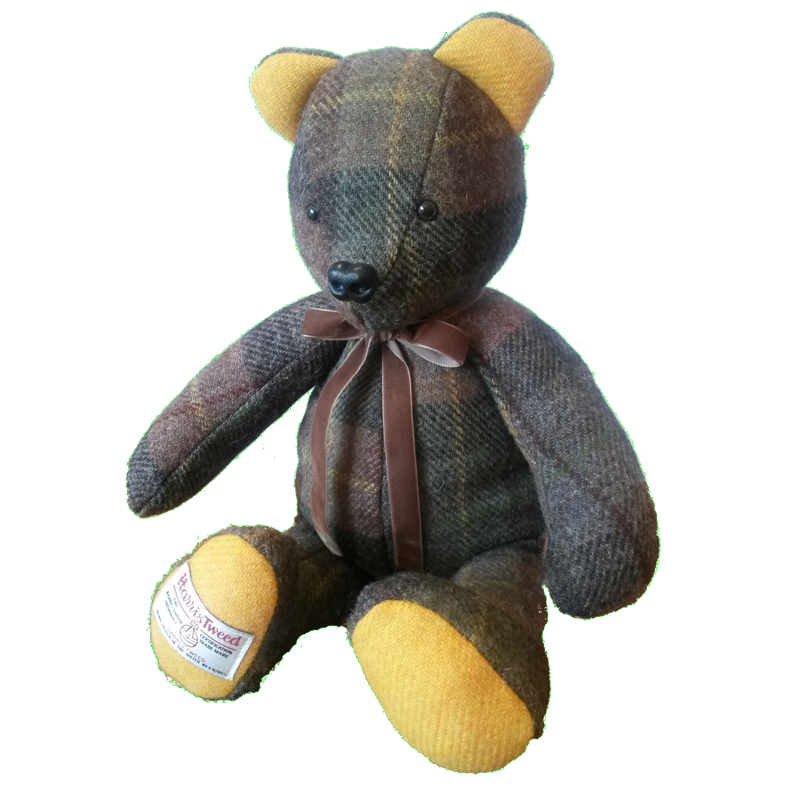 Each bear is unique and subject to availability – please contact us to find out which bears are currently available. Our bears measure 12.5 inches in seated position and 18.5 inches in standing position. Our bears are soft and are not intended for / suitable for children. Thanks for the kind words. If you could, please email us directly at info@lovefromskye.co.uk, we can get back to you about your inquiry.